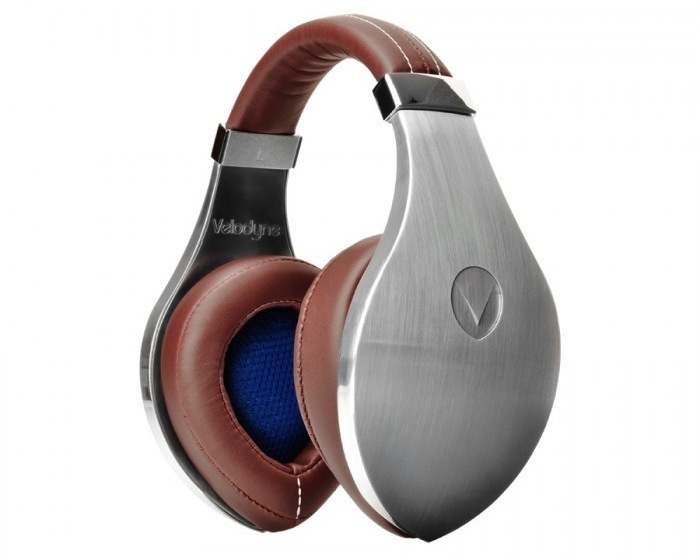 Velodyne via Newegg offers the Velodyne vTrue Aluminum Classic Style Headphones for $89.99 shipped. That’s $310 under the original listing, $110 under Amazon’s current price and the best price we’ve ever seen on a new set by $10. Some retailers, including Best Buy, are still charging the full $399.99. These cans have a 3.9/5 star rating from 13 Amazon customers and have similar reviews on Newegg. If you’re looking for an inexpensive set of earbuds, Newegg also has the black MEElectronics M9 in-ears for $8 shipped today (orig. $30). True sound. True Style. vTrue®. vTrue® raises the bar for studio headphones, combining Velodyne’s legendary audio technology and unrivaled design to bring a true sound experience to the most discerning of music lovers. Design A forged aluminum design complements our supple leather headband and over-ear cups. Velodyne’s signature shape lends unique styling and beauty. Sound Accurate sound is produced through a 50 mm driver tuned to the exacting standards of Velodyne’s trademark low-distortion bass reproduction. Cables The vTrue® features 4 foot standard & 4 foot Apple compatible*, tangle-resistant braided cloth cables with dual 3.5 mm gold connectors. A 1/4″ plug adapter is also included for convenience. *In-Line controls are compatible with iPod 3rd generation and newer, iPhone 3Gs, 4, 4s, 5, and iPads only.